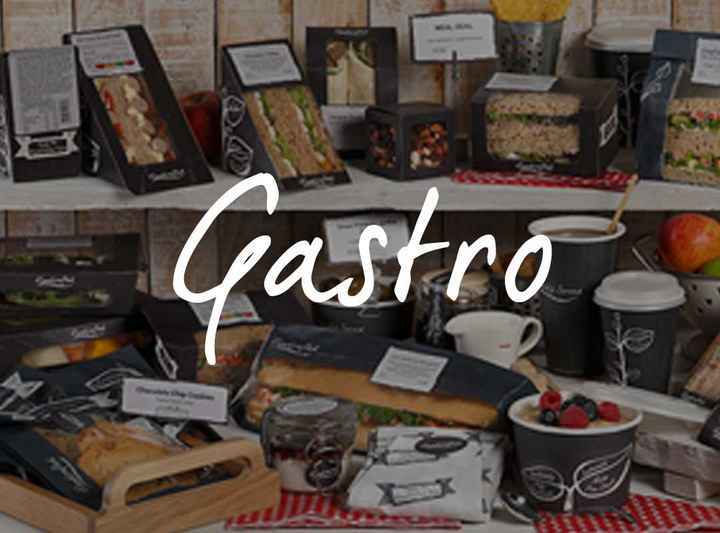 Showcasing a striking deli-branded finish across bio cups, soup containers, patisserie and sandwich bags, salad containers, a grease resistant sheet, sandwich labels, sandwich boxes and more, Gastro builds a premium presentation. 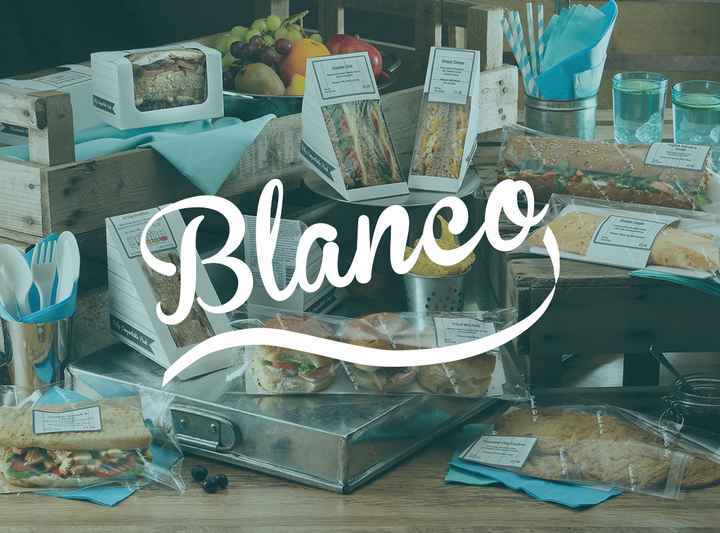 This eco packaging range is made from 100% compostable materials, even the windows and liners are made from plants: Multi-award winning products for grab and go foods - environmentally friendly and gourmet to-go! 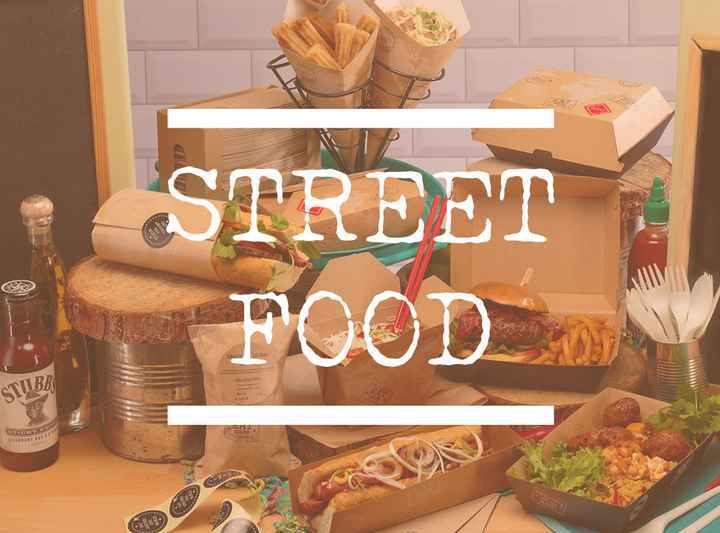 Get your street on with our multi-award winning Street Food packaging range, developed for street-style eats pair these compostable takeaway packaging items with both cold and hot foods. Utilising strong, sustainable materials (no polystyrene or plastic clamshells), it features a truly global design: the Street Food packaging range includes a fast food tray, burger box, grease resistant sheet, noodle boxes, and takeaway container! 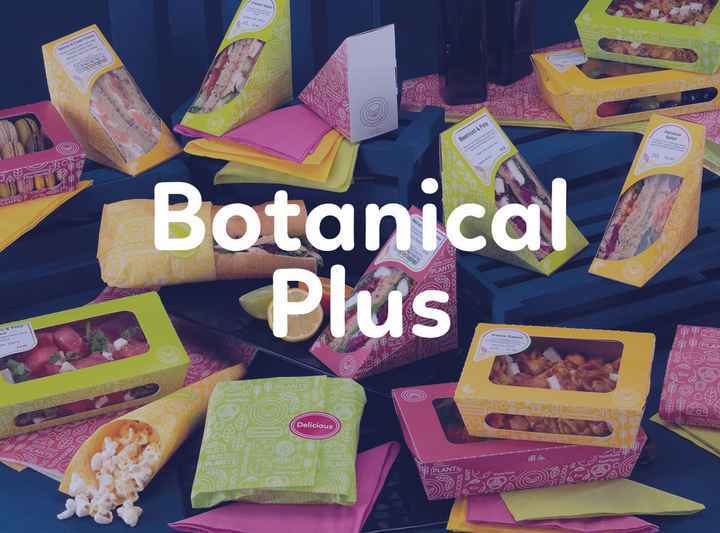 Botanical Plus is a home compostable, deliciously colourful packaging and labelling range. Introducing five eco-friendly packaging items in three vibrantly fruity shades, this attention-grabbing collection is made for a brighter, bolder grab and go! Showcasing a playful, eye-catching print (which states its eco credentials), the range includes a sticker and two sheet label designs too, complementary cups are also available. Earth-kind packaging and labelling, naturally. 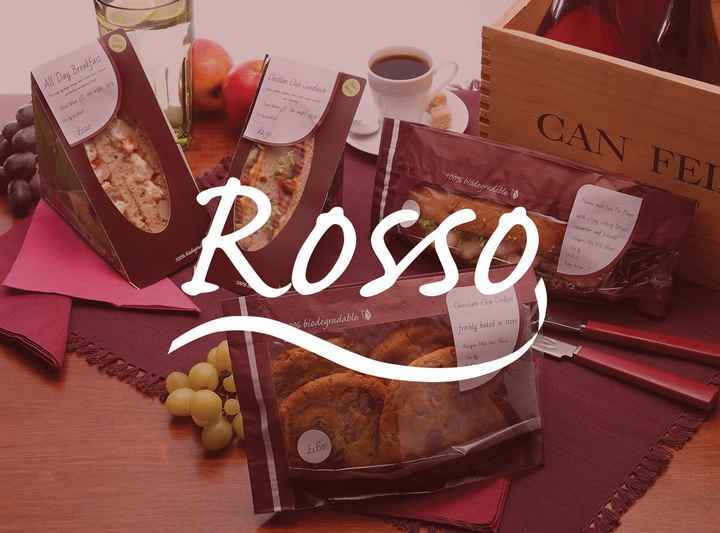 This extensive environmentally-friendly packaging and labelling range enables you to introduce eco-friendly, rustic packaging to your product range quickly, easily and with minimal cost or storage issues. As with all of our packaging, the Natural Collection is made from fully compostable materials, even the windows and laminate are made from plants. This merry mini range lends a retro festive feel to your yuletide treats. Introducing a seasonal snowflake, holly and candy cane print – not to mention Father Christmas and Snowman - this colour-popping, fully compostable bunch are jolly good fun. 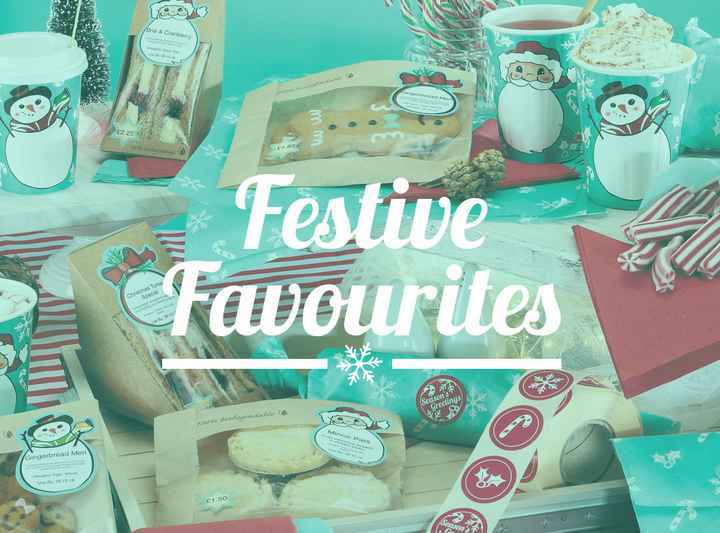 Includes a 12oz festive cup, a grease resistant deli paper sheet for Christmas sandwiches and treats, plus a sticker and a sheet label too, Festive Favourites has Christmas all wrapped up. 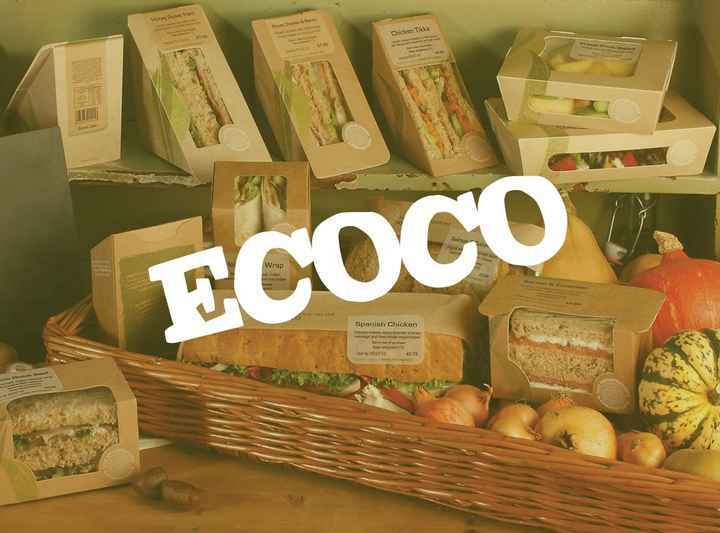 Featuring a subtle green leaf design and eco messaging, go eco with Ecoco: kraft windowed paper sandwich bags, salad boxes, labelling plus sandwich packs for square cut sandwiches, wraps and wedge packs too. 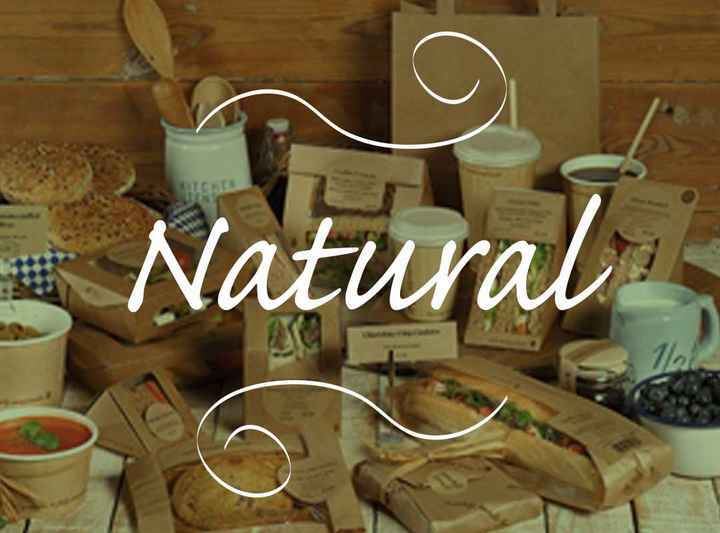 Fully compostable this sustainable, environmentally friendly food packaging range is made from plants not oil (including the clear paper label).